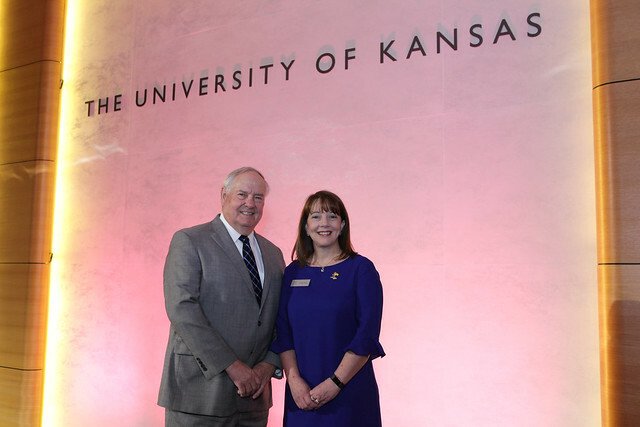 The University of Kansas School of Business established the Distinguished Alumni Award in 1998 to honor outstanding alumni and friends. Award recipients are chosen from the nominations of other alumni and the school’s Board of Advisors. Candidates are selected on the basis of their business activities and the service to their communities and to the school. Characteristics that the school seeks to instill in its students — success in their field and a commitment to the success of their community and the school — are well represented in each of the honorees. In April 2018, the school honored Jerry Jennett and Robert "Bob" Taylor as the latest Distinguished Alumni Award recipients.